A forensic scientist, wife, mother and #plwMND just posted the comment below on Twitter. She was rightly unimpressed by such an absurd allegation. As a fellow-scientist who’s studied traches, so am I! PLEASE click on http://www.scott-morgan.com/blog/right-to-thrive/ to find out how to stamp out such institutionalised ignorance and bigotry. Frankly, I am horrified it is still so widespread! I have suggested that my fellow MND warrior get her Consultant to contact me directly to explain himself. I will ask him what new evidence he has uncovered but sadly kept to himself that overthrows current best-thinking on the issue. 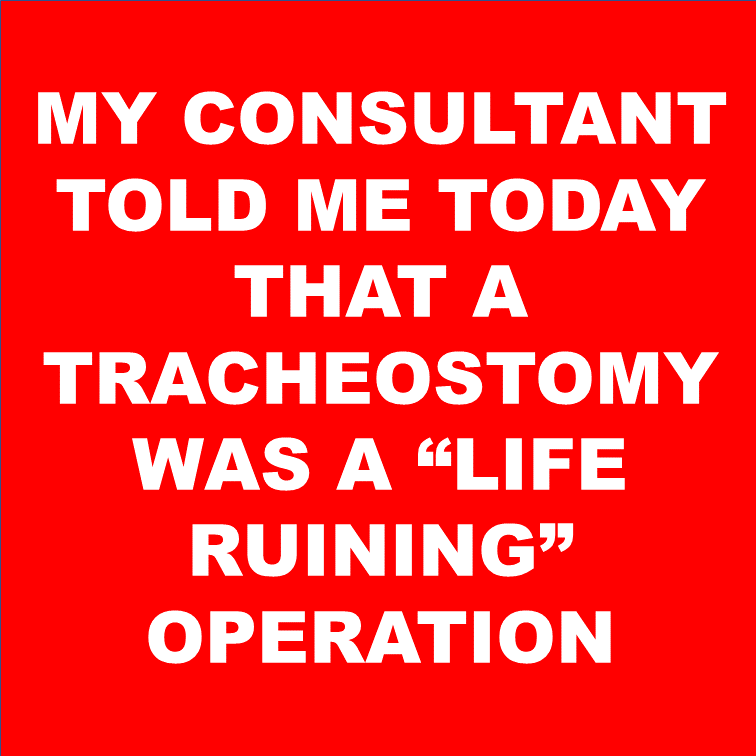 ALSO, as someone who shortly will have a full laryngectomy, I will ask him (for the good of his profession) to avoid offering any further advice on the topic until he knows what on Earth he is talking about!! !